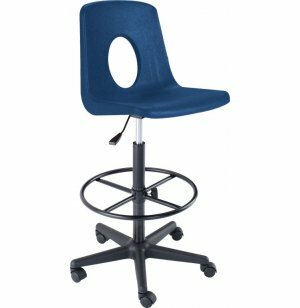 The Academia Poly Shell Swivel Drafting Stool combines the latest in engineering and design. A high-density polypropylene seat is riveted to the frame on the underside, eliminating the need for unsightly, exposed rivets. The contemporary elliptical cutout provides proper ventilation along with pleasing aesthetics. 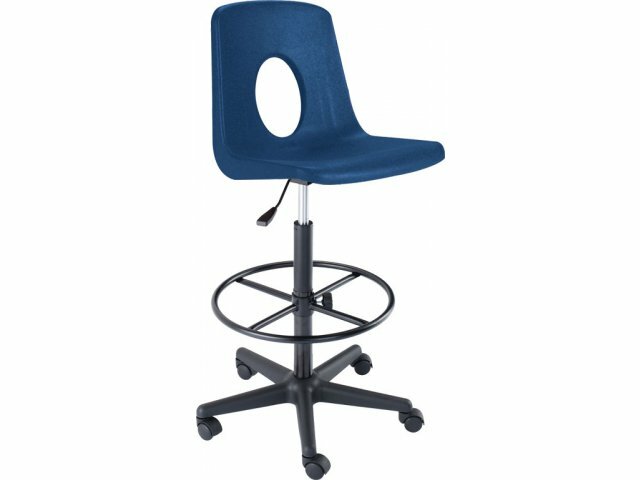 This classic stool is the top choice for art rooms and science labs. 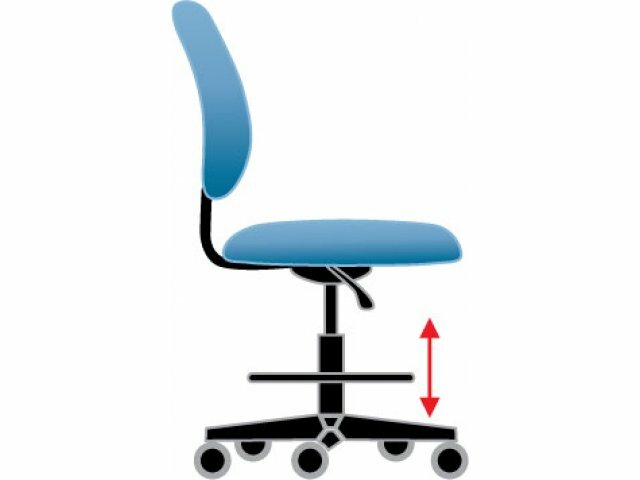 Convenient Mobility: Chair swivels in full circle and set of five heavy casters allow for lateral movement. Comfortable: Ergonomically designed for greater support and comfort. Elliptical cutout provides proper ventilation. 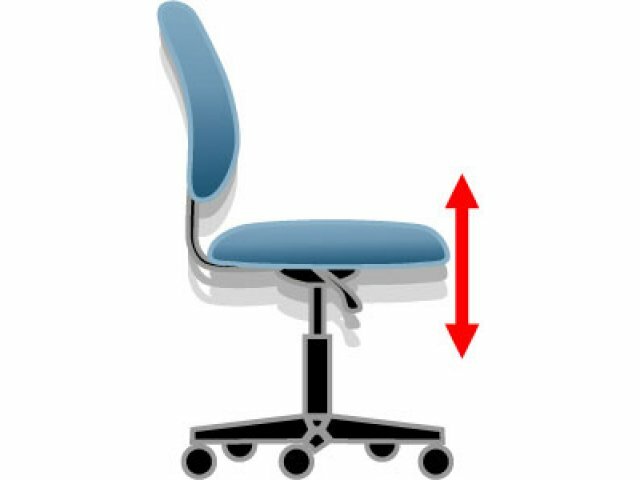 Height Adjustable: Pneumatic seat height adjustment lever. 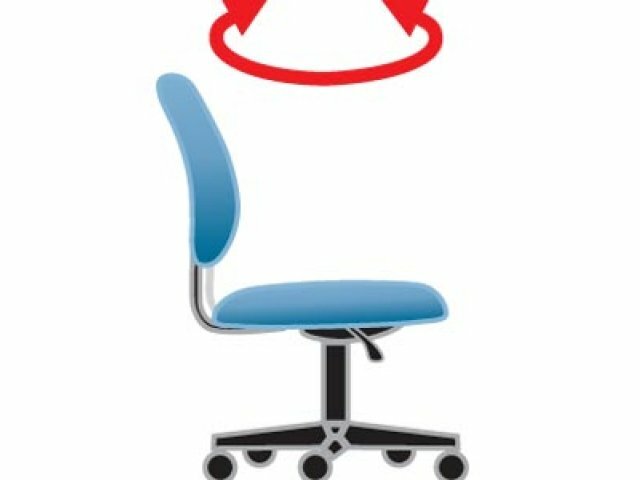 Poly Shell: The polypropylene seat shell is flexible enough to be comfortable, yet strong enough to handle long hours of student use. Built to Last: High-density polypropylene shell is riveted directly to the frame. Choice of Colors: Available in a wide range of colors. Casters: Standard hard casters included for carpeted and soft floor surfaces. Soft casters available for hard floors (see Accessories below).